Since 1952 Riverhead Little League has been providing tee ball, baseball and softball to the youth of our community. 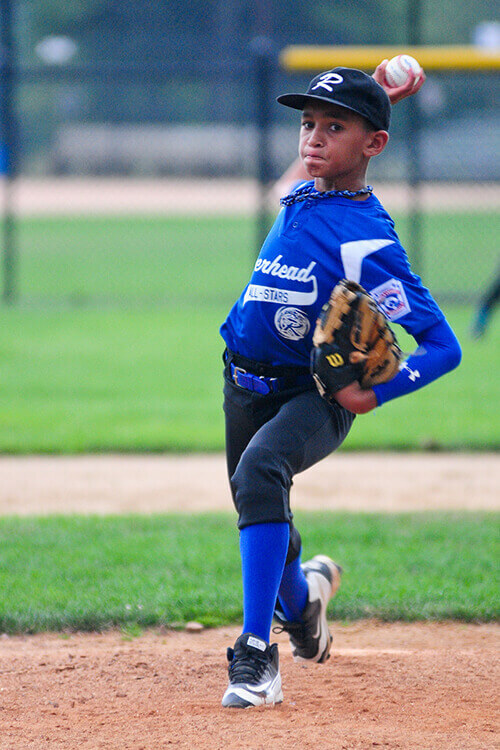 Riverhead Little League is dedicated to nurturing each players interest regardless of skill level, in advancement, team work, positive sportsmanship and physical well being. At Elmer Stotzky Memorial Park we have two baseball fields, three softball fields, a tee ball field, batting cage, a concession stand and a playground. Although we call Stotzky Park home we also have utilized the fields at Veterans Memorial Park (Calverton) and Iron Point Park (Flanders). Riverhead Little League's Board Members and coaches are committed to enriching the lives of our players by fostering love of the game that will have a positive impact on their lives for years to come. Little League Baseball, Incorporated is a non-profit organization whose mission is to "to promote, develop, supervise, and voluntarily assist in all lawful ways, the interest of those who will participate in Little League Baseball and Softball." Check here for registration dates, informational charts and forms, fees and more. Read about our divisions for baseball / softball. Tee Ball, Minors A, Minors AA, Majors. View our division schedules for baseball and softball before and during the season. Check our calendar for upcoming events and other Riverhead Little League functions.